Mrs. Gaynell Lollis Thornton, 84, of 460 Marsh Kornegay Rd., passed away at Genesis Healthcare of Mount Olive on Friday, November 23, 2018. A Graveside Service will be held Monday, November 26th at 2:00 pm at the Thornton Family Cemetery, located off Marsh Kornegay Rd in Faison with Rev. Ken White officiating. Born on October 15, 1934 in Swain County, Gaynell was the daughter of the late Frank and Nellie Wiggins Lollis and widow to David Leon Thornton. 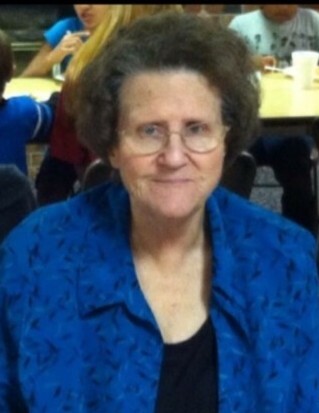 She was a homemaker and member of Goshen New Life Church. Mrs. Gaynell had a passion for cooking, baking and sewing and loved spending time with her family. She is survived by her daughter, Tammy Thornton Sutton & husband, Perry of Faison; two sisters: Elizabeth Hogge and Sue Phillips, both of Virginia; a daughter-in-law, Sara Thornton of Faison; and four grandchildren: Anna McCullen, Meredith Sutton, Daniel Thornton and Cindy Thornton. In addition to her parents and husband, she was also preceded in death by her son, Randy Thornton and her three brothers: Tommy Lollis, Clyde Lollis and Thad Lollis. The family will receive friends immediately following the service at the cemetery, and other times at her daughter’s home, located at 460 Marsh Kornegay Rd., Faison. Condolences may be sent by visiting wwwroyalhallfuneralhome.com. Royal-Hall is honored to serve the Thornton family.